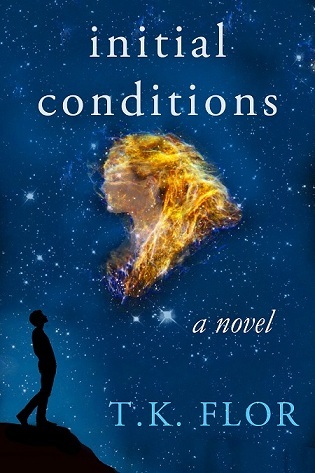 Initial Conditions is a contemporary novel about love, career, ambition, family and science. It’s a story of a young woman who follows her dreams, makes choices, and faces the consequences. Who? Danielle Meller is an aspiring physicist with a pretty good opinion about her abilities. Where? The prestigious King Solomon University, Hopeville, USA. What happens? When Danielle Meller starts to work for professor George Green, she expects the new job will jumpstart her academic career. Soon enough, she discovers that integrating herself in the competitive group is a constant struggle. It is even harder to convince her boss that she is capable of conducting innovative research in theoretical physics. Danielle is fascinated by the recently discovered dark energy – it entices her imagination and draws her to explore its origins. A battle of wills ensues when Green stops her attempts to go beyond the assigned research. Danielle’s boyfriend, Jonathan, also warns her against taking unnecessary risks. Headstrong and ambitious, she doesn’t back off – until she inadvertently opens a personal and professional Pandora’s Box. Now, Danielle has to face the price of following her dreams – if she fails, she might lose the man she loves and everything she has worked for.